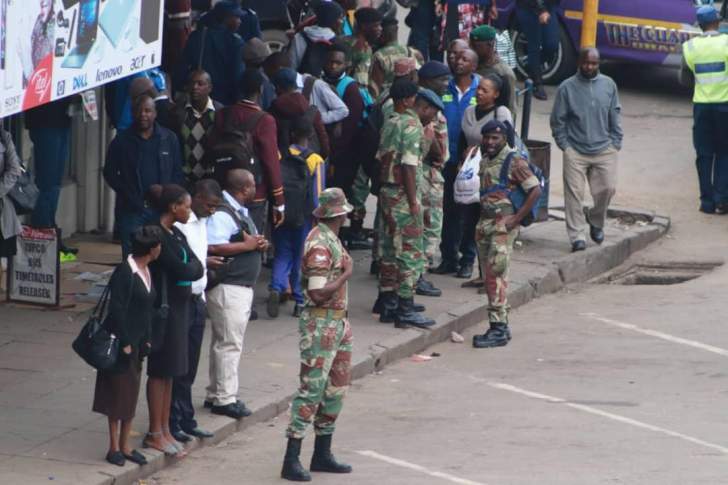 A Twitter account that monitors politics in Zimbabwe has been sharing some pictures of the capital, Harare, which was hit by violence last week over a rise in the price of fuel. The government has blamed the opposition for the violence, which rights group say left at least 12 people dead. Authorities also shut down the internet making it hard for people to use popular social media platforms like WhatsApp and Twitter. People have been out and about on Monday morning, queuing outside banks to get access to their money. Soldiers have also been deployed on the street with some of them manning petrol stations which have experienced long queues. Vendors have also returned to the streets. Last week, protesters used boulders to block roads to stop commuters from travelling. But now, public buses appear to be back on the road.